Whether you enjoy the weight and pull of a heavy ball stretcher during masturbation, or you are tormenting your sub with some CBT action, this heavy magnetic device is a unique and innovative new way to play. 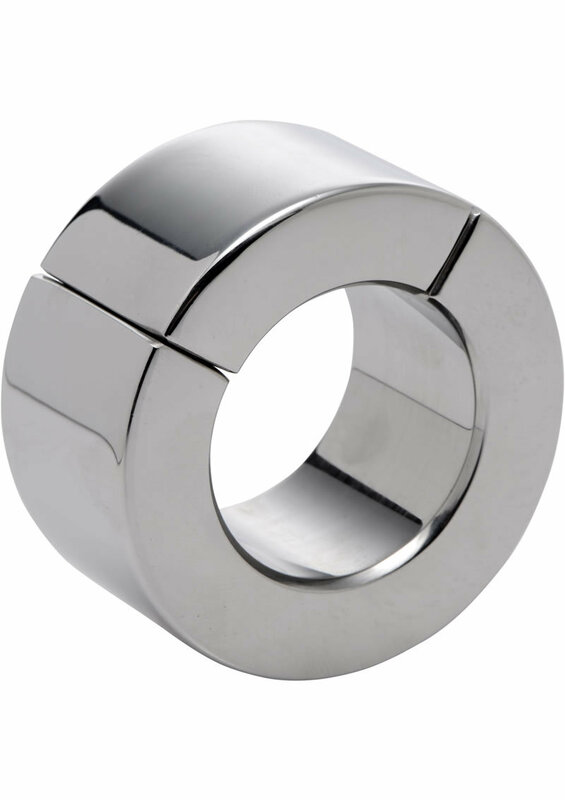 Pull the scrotum down away from the body and through the opening in the hefty stainless steel ring. Make sure all skin is against the back of the stretcher before replacing the magnetic closure. The stainless steel will clink loudly together, leaving the balls trapped in the heavy instrument. When you let go, it will yank down, pulling on the scrotum for an incredible sensation. Measurements: 1.15 inches long, 2.25 inches in width. Internal diameter measures 30 mm, or 1.18 inches. Material: Stainless steel.